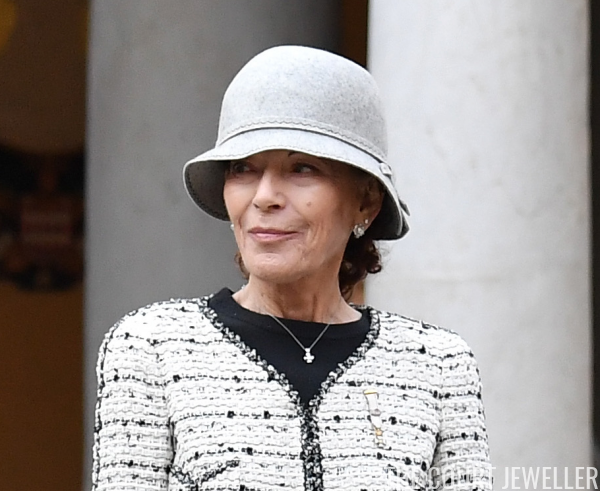 The Grimaldis gathered today in Monaco to celebrate the principality's National Day, and we've got all the details on the jewels worn at the daytime events. Stay tuned later on for all the glittering jewels from tonight's opera gala, too! 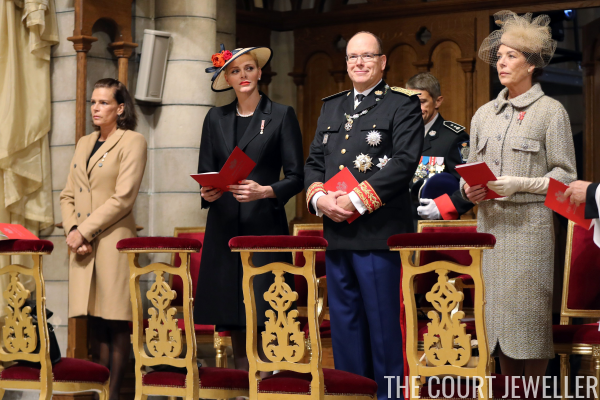 Charlene wore the ribbon of the Order of Saint-Charles for most of the daytime events, including mass at the cathedral and the annual balcony appearance. 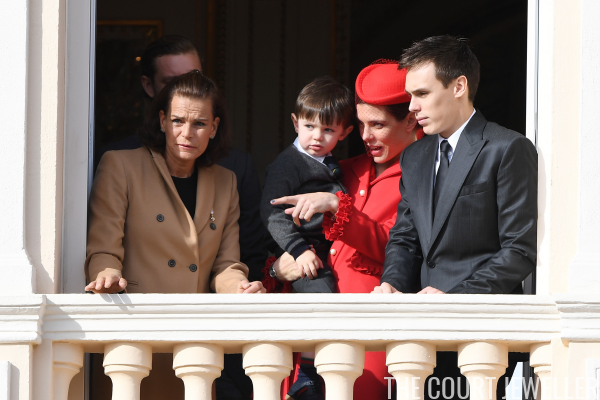 On the balcony, we also got a glimpse of her engagement ring as she and Prince Albert showed off Prince Jacques and Princess Gabriella. 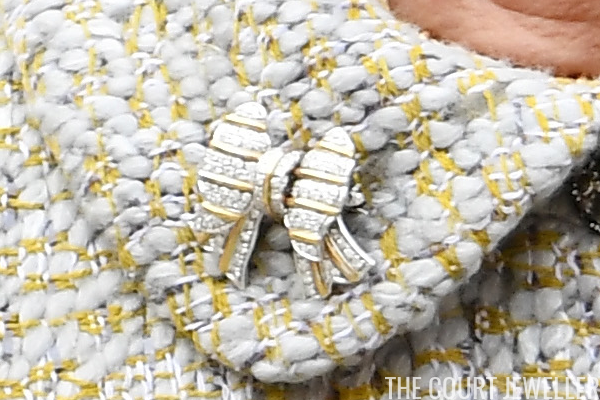 Caroline also pinned a gold and diamond bow brooch to the collar of her Chanel jacket. 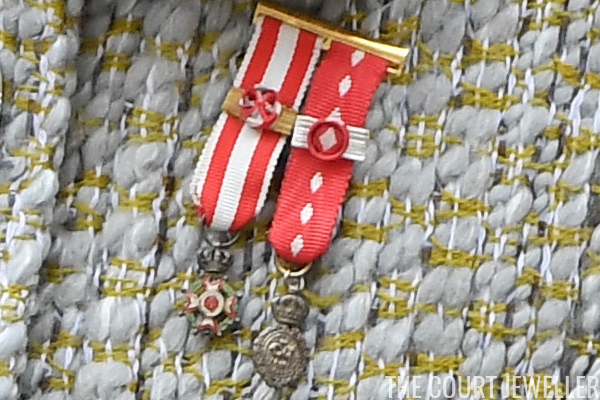 And she wore the ribbons of two orders: the Order of Saint-Charles and the Order of Cultural Merit. 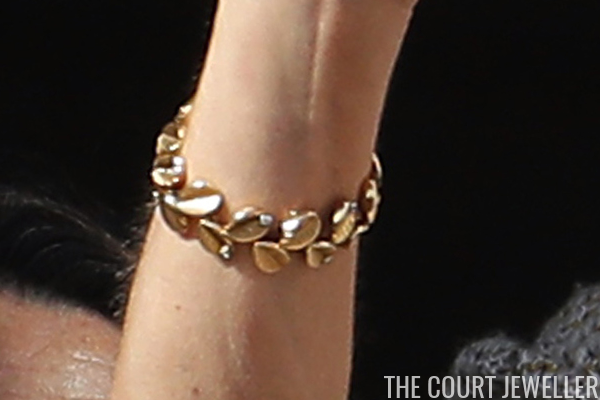 We did get a peek at a bracelet on Charlotte on the palace balcony when she appeared with her son, Raphael. 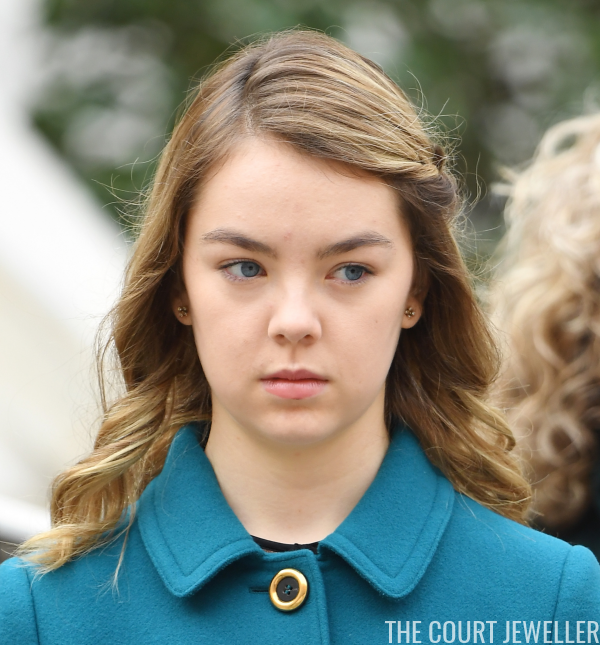 Caroline's younger daughter, Alexandra of Hanover, wore an age-appropriate pair of stud earrings. 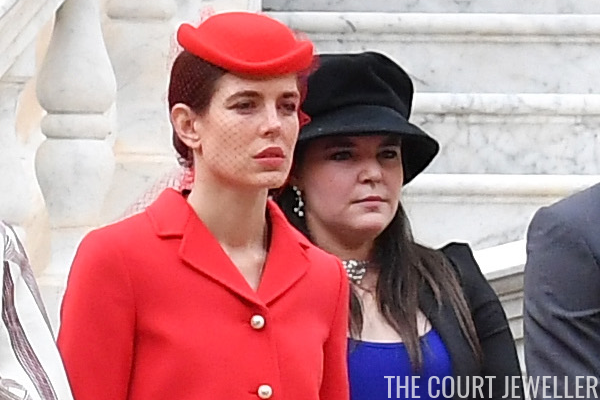 Princess Caroline's daughters-in-law were a bit more prolific in the jewelry department today. 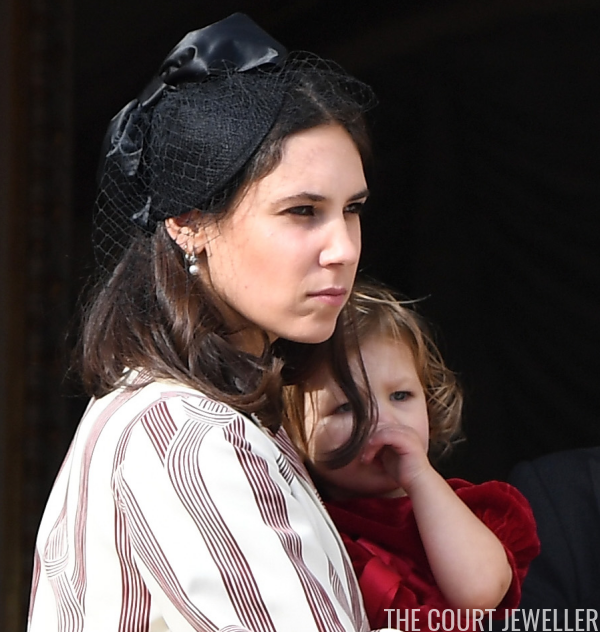 Tatiana Santo Domingo (here with her daughter, India Casiraghi) wore diamond and pearl earrings. 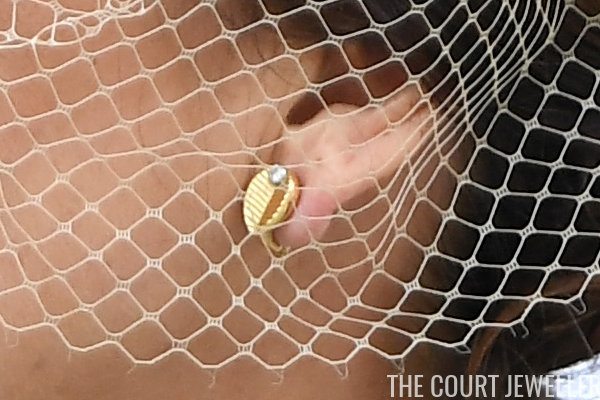 And Beatrice Borromeo -- who is expecting her first child with Pierre Casiraghi -- wore a major pair of earrings. 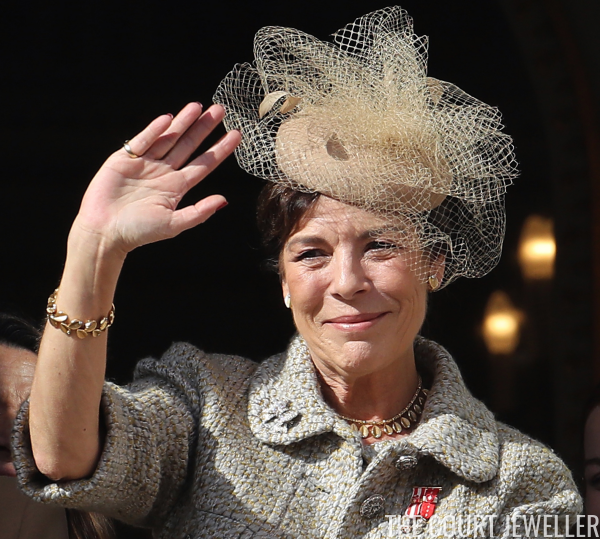 She's worn these before, most notably at the wedding of Prince Amedeo of Belgium in 2014. 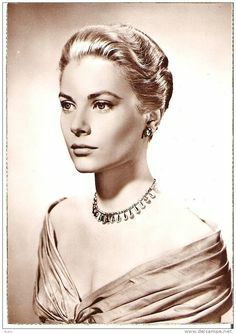 Here, she's also wearing two delicate gold necklaces. 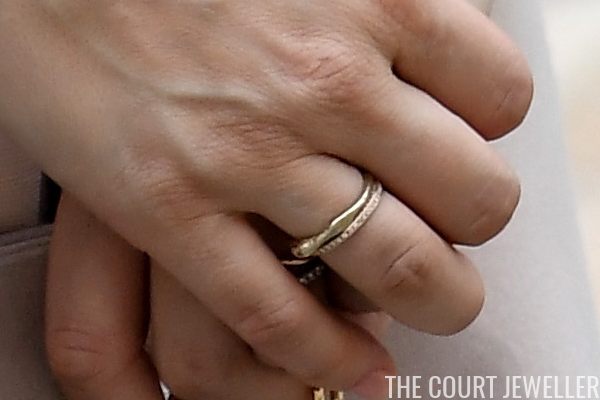 We also got a good look at some of Beatrice's rings. A few members of the extended family were also in attendance. 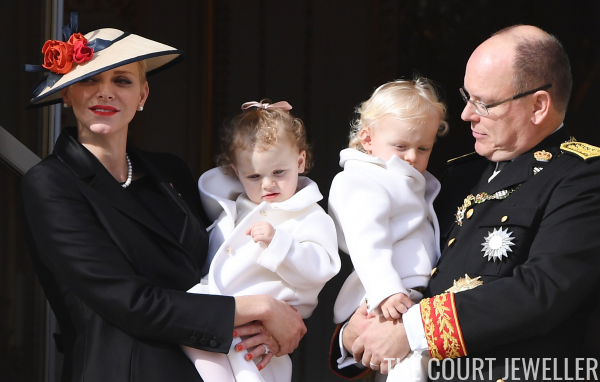 Elisabeth-Anne de Massy, daughter of the late Princess Antoinette, wore sparkling earrings and a necklace with a cross pendant. 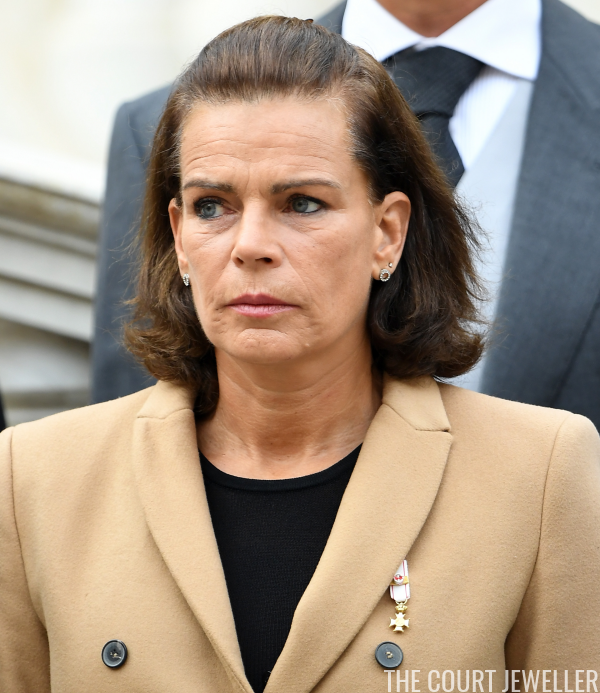 She's also wearing the ribbon of the Order of Grimaldi. 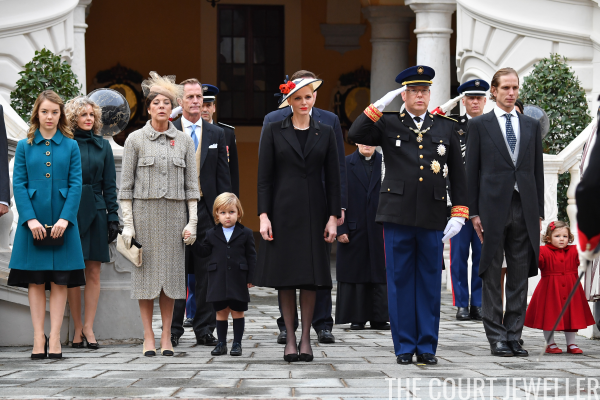 You can see Elisabeth-Anne's daughter, Melanie, standing behind Charlotte here. 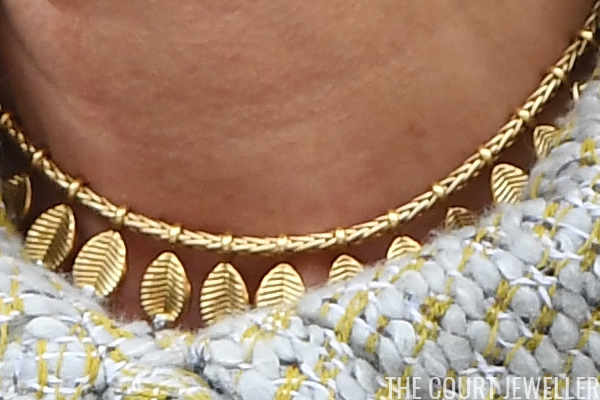 I wish we'd had a better look at her jewelry, which appears to be substantial. 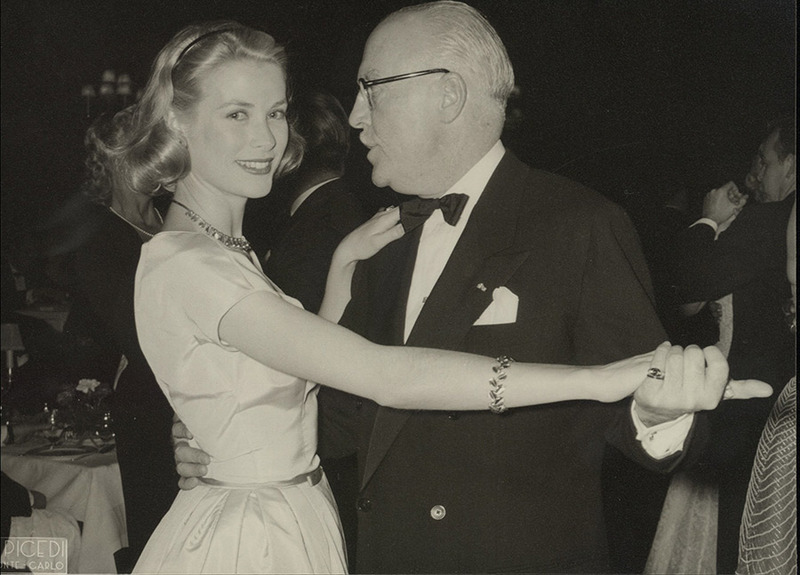 See you later today for opera gala jewels!